There may be the name “Griffin”, in this opening paragraph, but don’t let that mislead you into thinking that I’ll be talking about Gryffindor, or Harry Potter. I’m here to talk to you about the new case lineup from the case manufacturer, Griffin. 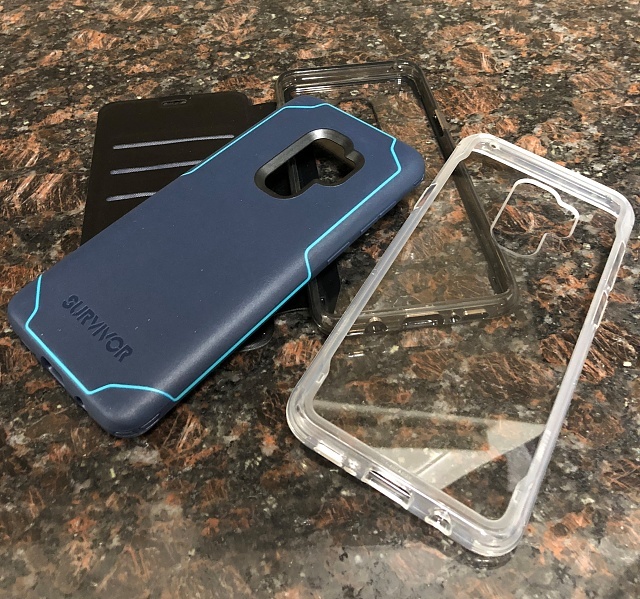 I recently did a review of one of their products for the iPhone, and I decided I wanted to get my hands on some of their cases to showcase for the new Samsung Galaxy S9/S9+. One of the hardest parts about getting a new phone is trying to figure out what case you want to get on launch day so that you have everything you need to keep your phone safe and stylish. I am ever more wary about Amazon reviews as the days go by, so hopefully I can clear up the air a little bit and offer some fresh insight on a great selection of options for your new Sammy device. 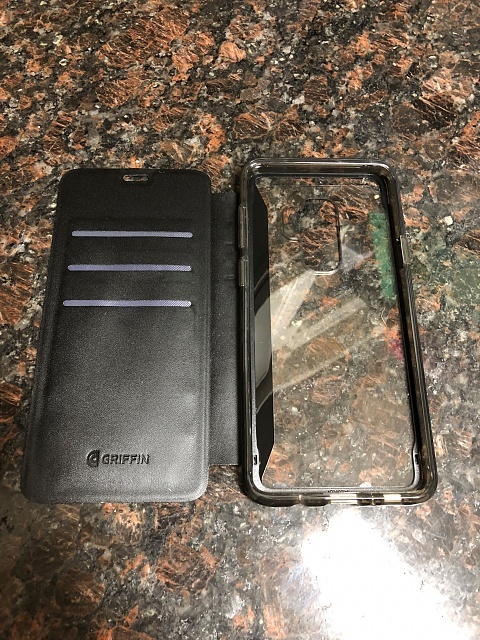 Griffin has been around for a long time, and they make a wide selection of cases for most phone manufacturers. In the phone case world, there are so many different cases to choose from that sometimes it’s hard to get past the front-page ads on websites and find something new, or different that’s worth taking the risk. In days of old, many a time I went straight to my old tried-and-true cases for $10-15, not wanting to spend much money on a case, and I certainly don’t blame you if that’s your M.O. ("Modus Operandi", for those of you who ever wondered what that stands for.) However, there were always cases in the $20-30 range that I always wondered about, and considered purchasing but was afraid to because I didn’t want to waste my money. Well, if you’re on the fence and want to try something new to go with your new S9/S9+, here’s a new selection of cases that might be worth exploring. Say hello to the Survivor series by Griffin. First and foremost, we have the Survivor Strong. 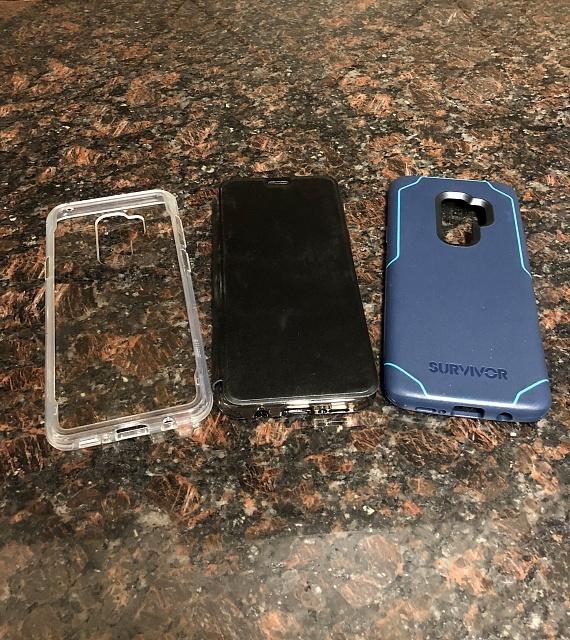 Out of the three cases, the Survivor Strong is the most rigid, and protective of the three cases in this preview. 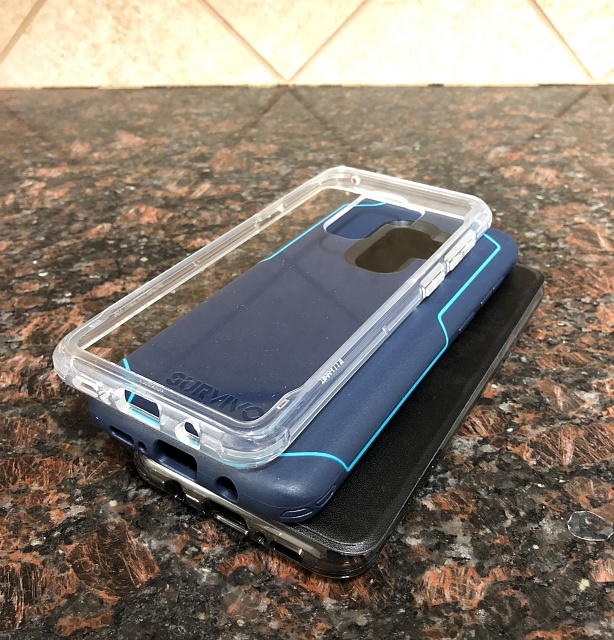 It has a very hard outer-shell (made from polycarbonate), and rigid bumper protection that will keep your phone safe from drops, slips, and getting squished or smashed between things. It’s a solid one-piece design that’s designed to give you a slim profile, but isn’t slim on protection. The overall grip on the case is solid and even though I don’t have the S9+ yet to try it out on, I’m anxious to see how it fits. 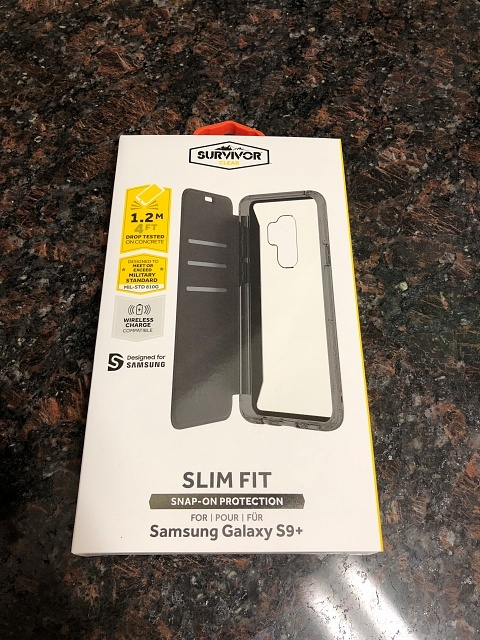 The Survivor Strong has been drop-tested on concrete, and is MIL-STD rated to protect your phone from drops up to 7ft. I really like how Griffin went the extra mile with all three of these cases to highlight the fact that the phones were dropped on concrete. Other phone cases don’t ever say what they are designed to be dropped on, so it’s reassuring and comforting to know that these guys have been dropped on concrete and still keep you rolling. And even though the case keeps damage at bay, it still allows the warm and fuzzy wireless charging waves through its rough exterior to allow you to charge your phone without plugging it in. 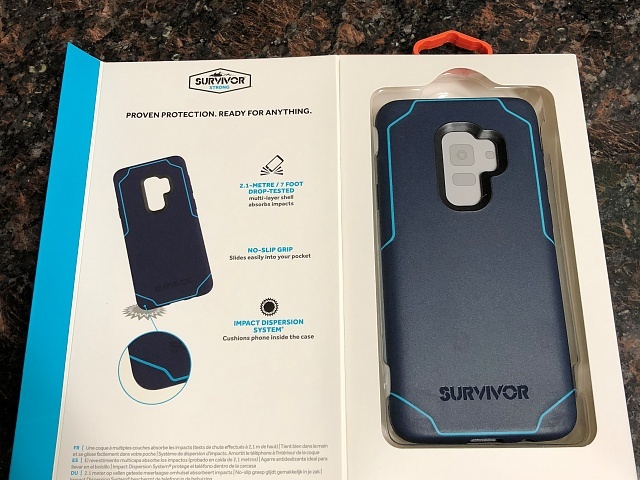 The Survivor Strong is available on Griffintechnology.com, and is currently priced at $29.99. This case is available in two different color options: Grey/Pink, and Navy/Coral Blue. Next we have the Survivor Clear Wallet edition. While it may be clear, it also has a cool Black-colored folio cover that flips over the front. The folio cover also doubles as a wallet/card holder, enabling you to show up to three different cards, for ease and convenience. The back-side of the case is of course clear and allows you to show off the dazzling new S9/S9+ color that you decided to purchase. What color did you decide on? Regardless of the color, it’s sure to look fantastic pared with the black bumpers and snazzy folio cover that allows you to keep your screen protected on the go. 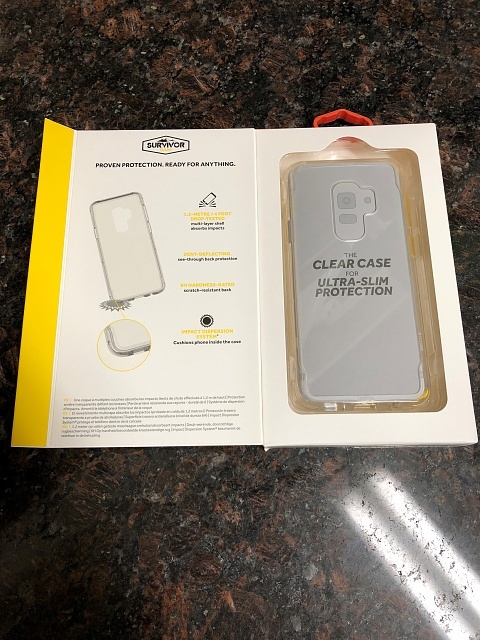 In addition to style and convenience, the Survivor Clear edition also offers a little bit of drop protection, which helps make the package even sweeter. 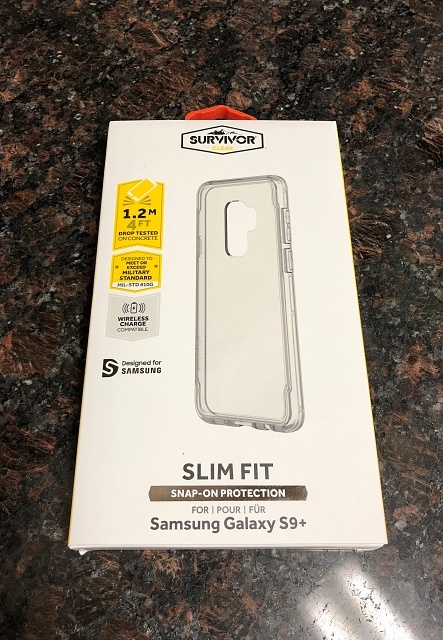 The Survivor Clear offers 4ft of drop protection (on concrete), and also allows for wireless charging. 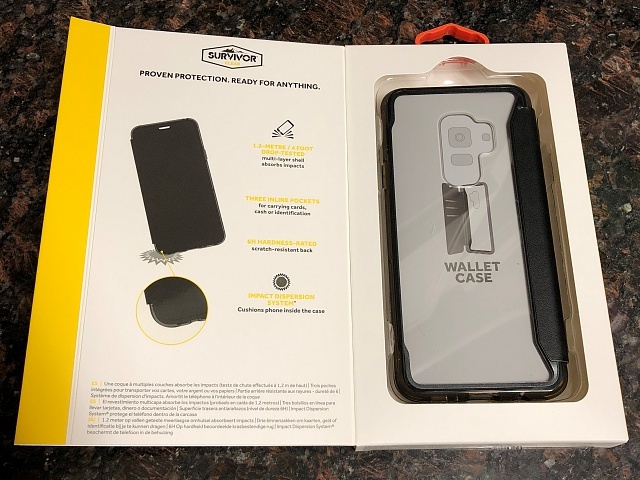 If you think that this is the case for you, you can find it on Griffin’s website for $24.99, and it is only available in Clear/Black. Conclusion: Each of these cases does a great job at keeping your phone protected, while simultaneously giving you several different style, and color options to choose from. 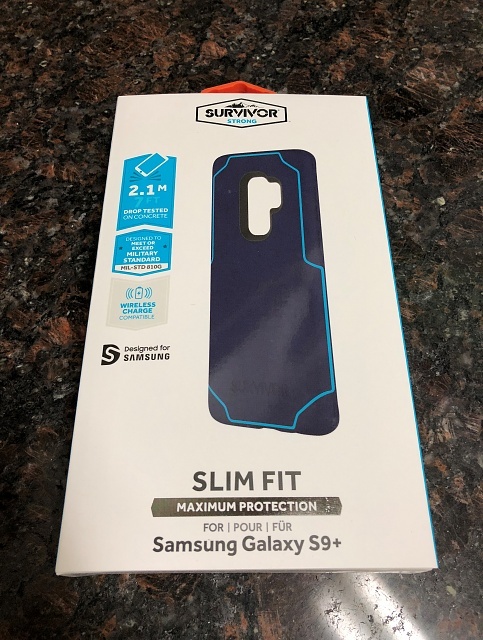 The prices are pretty well on-par with other similarly marketed products, and the level of protection that you get is reputable. You really can’t go wrong with either of these three options. If you have any questions please feel free to leave them down in the comment section, and I will follow up later on down the road with more review information once I actually get to test them out on my new S9+. How do I get rid of "Tap here to use your Samsung Account"? Galaxy S6 - System using over 14 GB of storage.